Never Enough Nails: Vapid Lacquer Batnado! Happy Saturday! I hope you have some fun plans for the weekend. I have to work a bit today, but then I am going to a Halloween party! Today's Halloween nails are brought to you by Vapid Lacquer. 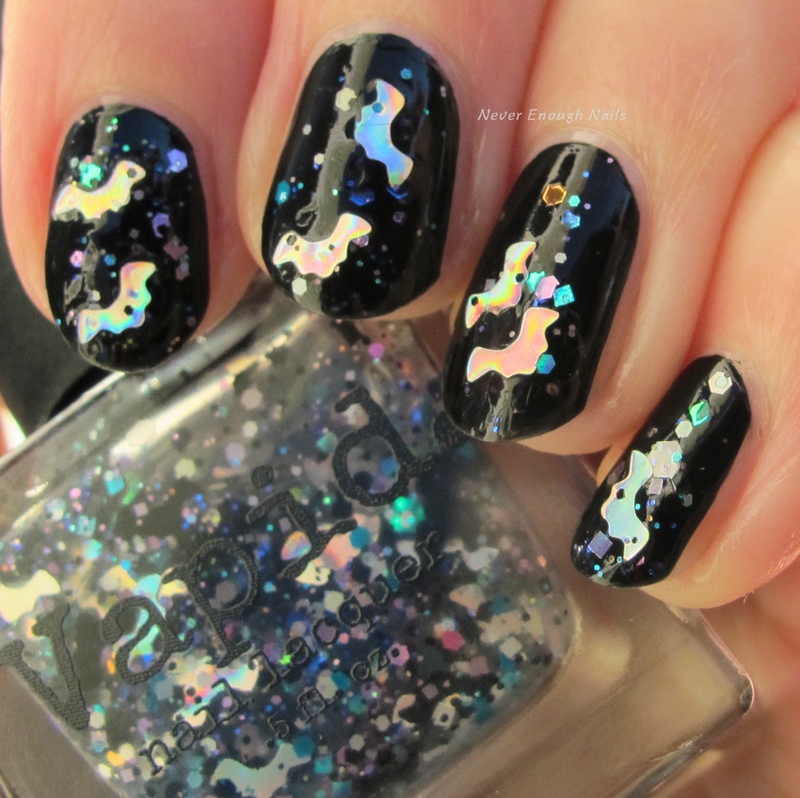 This polish was part of a set that included two polishes plus magnets from The Holo Pineapple made with Vapid polishes. 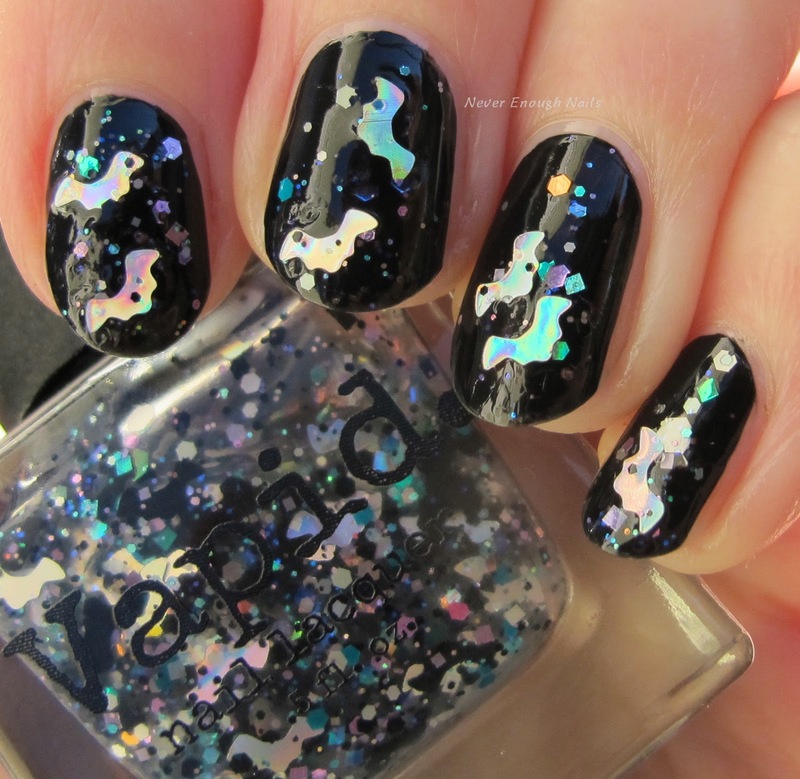 Vapid Lacquer Batnado has holo silver bats, black bats, plus smaller blue and silver holo glitters of various shapes and sizes in a clear base. I love bats, I think they are amazing creatures and actually very cute, plus the name Batnado is fantastic!! 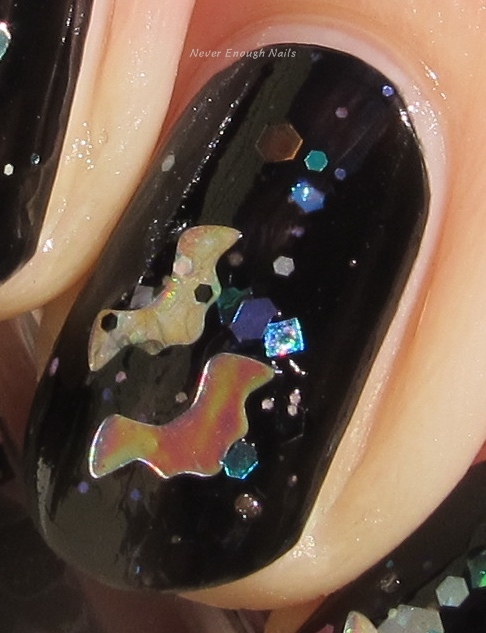 This is one dabbed coat of Batnado over one coat of Sally Hansen Black to Black. I did not use any of the black bats in Batnado (since they wouldn't show up over my base), so I did have to fish out the silver bats and apply them. Overall, this was pretty easy to use and the bats are very plentiful. Sadly, Batnado is no longer available. The set it came in was only stocked once. If you join the Vapid Lacquer fan group on Facebook (Vapicorns), someone may have it for sale there. The good news though? 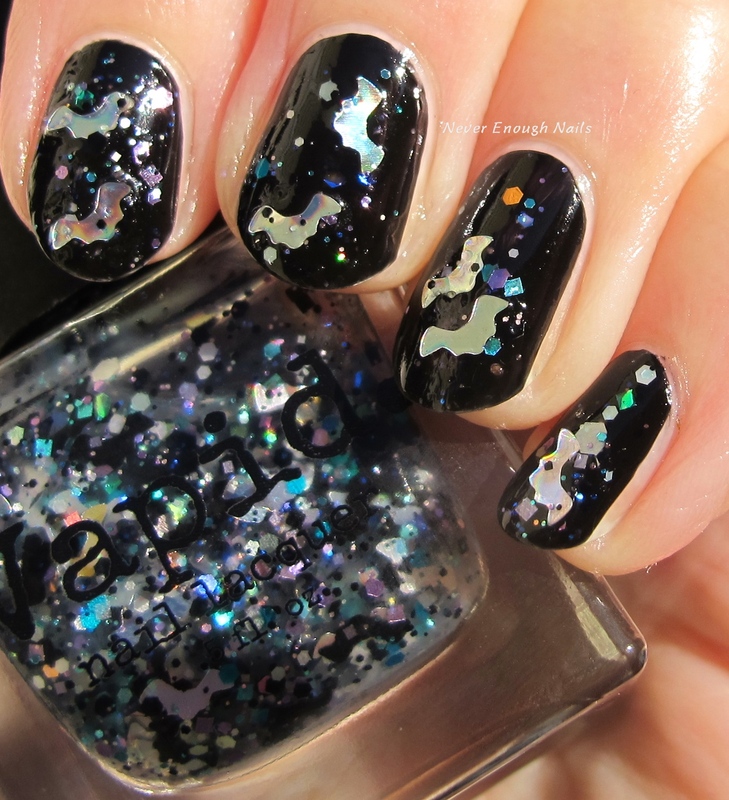 Vapid is having a restock today for some of their other amazing polishes and a new one called Smoke Screen! Check it out today at 1pm Central time at vapidlacquer.com.